If you’re on a tight budget and are looking for a DSLR with 4K shooting capabilities, then you can also go for the Panasonic Lumix G7. The Lumix G7 is a 16 megapixel mirrorless digital SLR which is capable of recording 4K UHD video at 24/30 frames per second. The camera can also record full-HD video at both 30 frames per second and 60 frames per second. The 16MP Live MOS sensor is also capable of capturing high-quality 4K photos, allowing users to choose from three modes to choose the perfect image from a 4K burst shot or a short 4K video clip. Much like the Canon M50, the Lumix G7 has an ISO range of up to 25600, which will allow you to capture great images in low-light conditions. 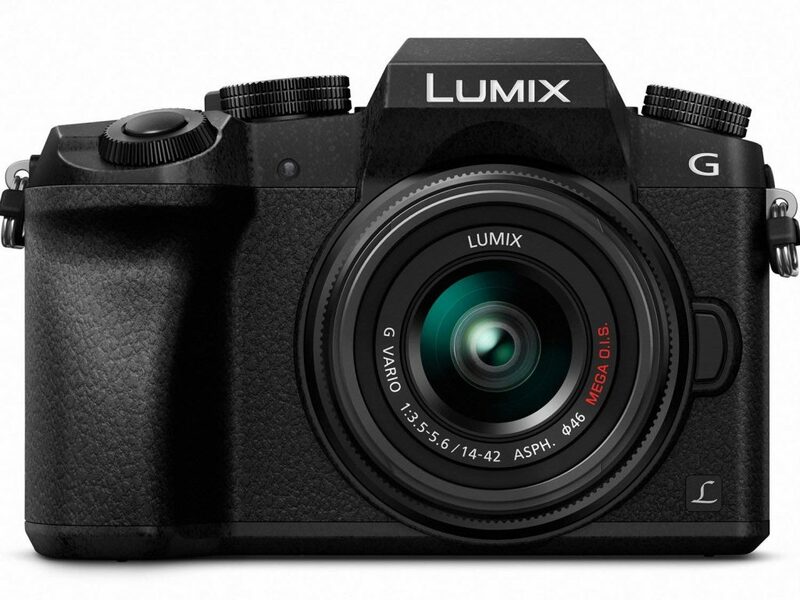 The Panasonic Lumix G7 is available with a 14-42mm mega OIS lens, which is a decent starter lens for the price. 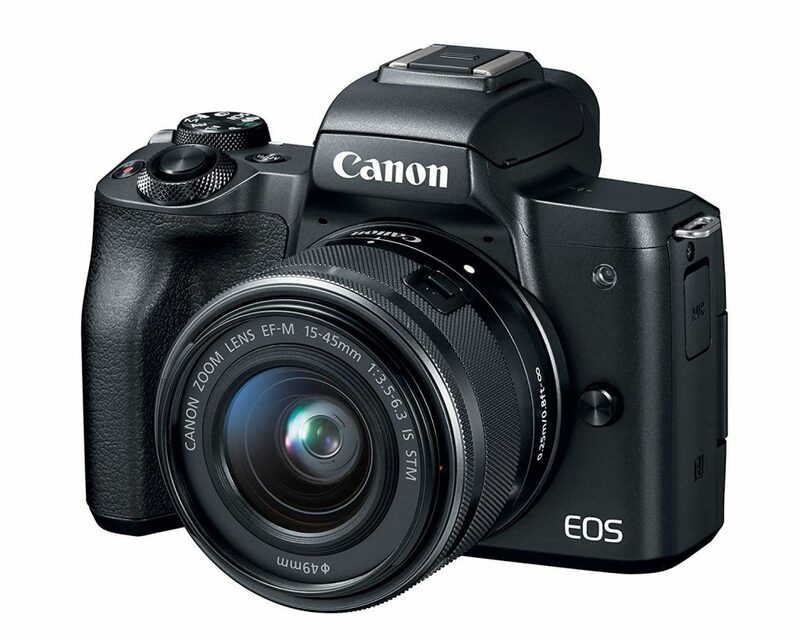 Another great 4K shooting camera in the sub-60000 price range is the Canon EOS M50, which is a 24.1 megapixel mirrorless digital SLR which is capable of recording 4K UHD video at 24 frames per second. The camera is also pretty capable when it comes to full-HD video recording and can record HD videos at 120 frames per second. The 24.1MP CMOS (APS-C) sensor is also capable of capturing stunning still images and it has an ISO range of 100-25600, which means that it’ll be able to capture images with low noise and high detail even in dimly lit situations. The Canon EOS M50 is currently available with an EF-M 15-45mm lens which is a decent lens to begin with, but you’ll definitely have to invest in a better option in the long run. 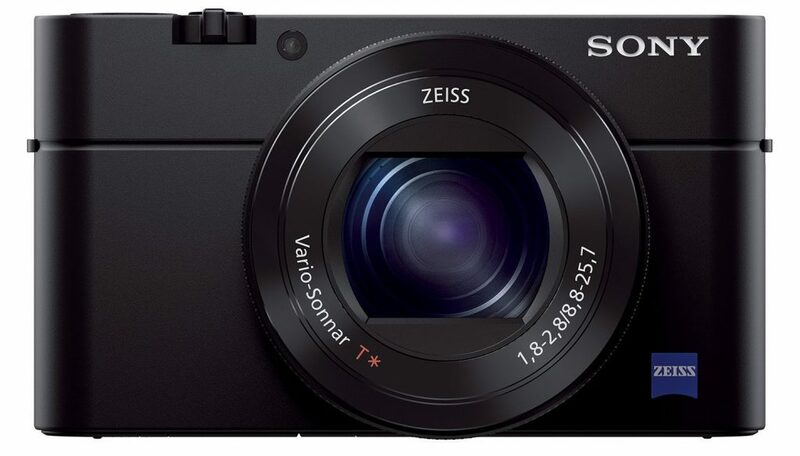 If you’re a beginner and aren’t too familiar with DSLR’s, you can invest in the Sony Cybershot RX100M4 which is a great point-and-shoot camera that offers 4K video recording capabilities. The handy camera has a 20.1MP sensor which is capable of recording 4K video at 16fps, however, you won’t be able to capture videos longer than 5 minutes with this system. The camera has a 24-70mm f/1.8-2.8 Zeiss lens, which is quite versatile for a point-and-shoot camera, but doesn’t match up to the modularity of a DSLR unit. Since this isn’t a DSLR, you won’t have an option to change the lenses, but that’s a sacrifice you’ll have to make if you’re looking for something really portable and easy to work with. The camera is also able to capture super slow motion videos at frame rates of up to 1000fps, which will allow you to make some great transitions and effects for your videos. The Cybershot RX100M4 isn’t a slouch in the still images department either and can capture stunning images, thanks to its 1/32000 anti-distortion shutter. In case you have a slightly larger budget then you can definitely opt for the Fujifilm X-T2, a mirrorless digital SLR with a 24.3 megapixel X-Trans CMOS III (APS-C) sensor which is capable of recording 4K video at 30/25/24 frames per second up to 10 minutes at a time. You can even record full-HD video at up to 60 frames per second and 720p videos at up to 60 frames per second. 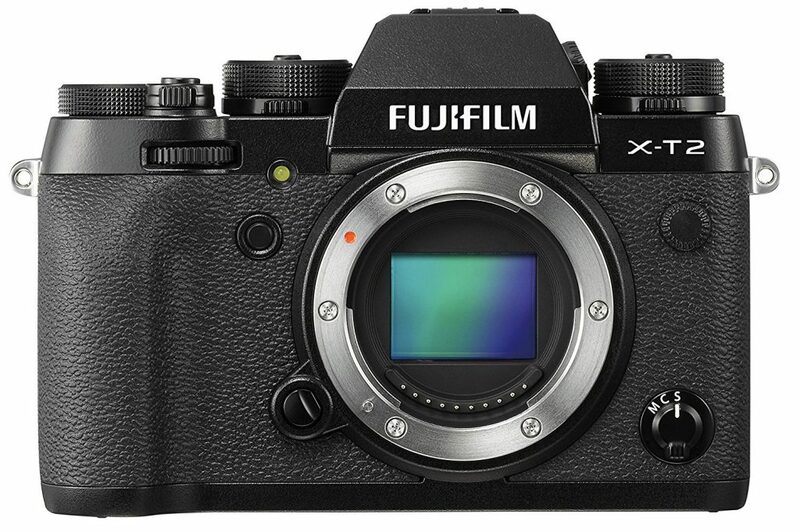 In the still images department, the Fujifilm X-T2 is an absolute beast and has an ISO range of up to 51200, allowing users to capture high-quality images with no noise in low-light conditions. The camera boasts of a minimum shutter speed of 1/32000 seconds which ensures that you won’t miss any photo opportunities and it’s especially great for action shots. The Sony Alpha A6500 is also a great option for videographers looking to shoot 4K video and it packs in a 24.2 megapixel (APS-C) Exymor R CMOS sensor which is capable of recording 4K video at 24/25/30 frames per second. Unlike most other low-end 4K shooting cameras, the Sony Alpha A6500 is capable of recording full width 4K video at 24/25 frames per second, but it has a 1.23x crop while recording at 30 frames per second. You’ll be able to shoot 4K video for up to 20 minutes at a stretch using the A6500, but since cameras get a bit hot while recording 4K footage, your mileage may vary. The camera can do wonders even in the still images department, as it has a 100-25600 ISO range which can go up to 51200 while shooting in multi-shot NR mode. The camera also offers in-body image stabilization, with in-lens stabilization also available if you’re using a supported lens, offering a decent shot even if you’re not using a tripod. 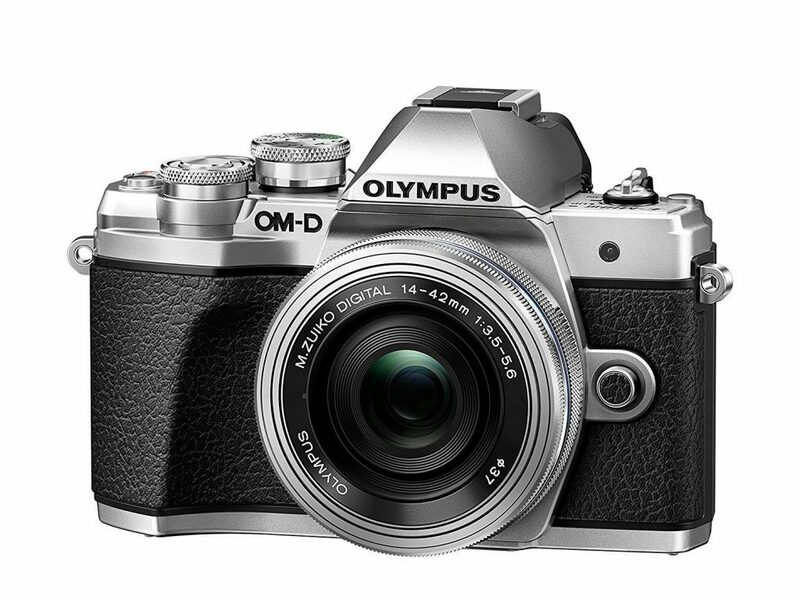 Another great option in the sub-100000 category is the Olympus OM-D E-M10 Mark III, which is a 16MP Micro Four Thirds mirrorless camera which is capable of shooting 4K video at 30/25/24 frames per second. The camera can combine its sensor shift stabilization with digital to deliver a great stable footage, even if you’re shooting handheld. The image quality delivered by the Olympus OM-D E-M10 Mark III is also pretty great, especially in JPEG, thanks to the excellent JPEG engine. The RAW performance is also pretty good and the camera’s 5-axis stabilization works well to significantly reduce any blur and deliver crisp, high-quality images time and time again. The camera ships with a 14-42mm and a 40-150mm lens to get you started, making it a great option for beginners who’re still exploring the kind of videos they want to shoot. 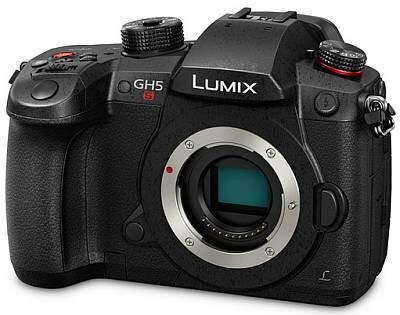 In case you’re serious about 4K video recording and have a slightly larger budget, you can go for the Panasonic Lumix GH5S 4K mirrorless digital SLR which offers 4K video recording at up to 60 frames per second. This Micro Four Thirds camera is especially optimized for movie recording and low-light performance, having a 10.28 megapixel Digital Live MOS sensor with an extended ISO range of up to 204800. You’ll also be able to capture 4K photos with a dedicated mode that shoots 8 megapixel stills at up to 60 frames per second, which is great for action photography. Since you’d be shooting 4K video, the camera has dual UHS-II SD memory card slots to provide ample amount of storage. We use the older variant of the GH5S, the GH5 to record all of our videos here at Beebom and our cinematographers swear by its performance. 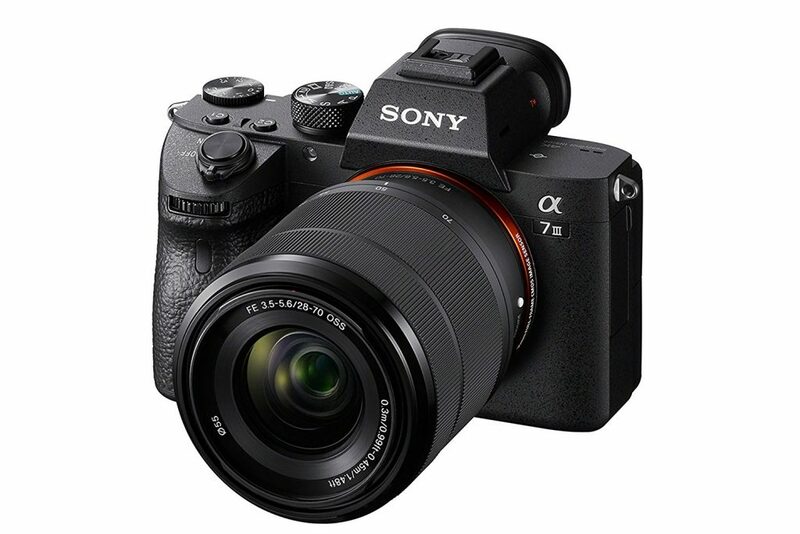 The Sony a7 III is another camera that really stands out in this price range as it offers a 24 megapixel full frame BSI CMOS sensor which is capable of recording 4K video at 24 frames per second. The 4K footage is oversampled from 6K capture with no field-of-view crop, which results in a very detailed footage. You can even capture 4K video at 30 frames per second which is oversampled from 5K video capture with a 1.2x field-of-view crop, giving it slightly less detail than 4K/24fps. The a7 III is also among the best low-light cameras in the market today and delivers stunning still images with great sharpness and excellent dynamic range. The camera features in-body stabilization which will help you capture stable images with little to no blur and it has an exceptional battery life, allowing users to capture up to 710 images on a single charge as opposed to the 300-odd images captured by other cameras in this price bracket. The a7 III is a great option for those looking for a full frame camera that is capable of recording 4K video and you should definitely go for it if you fall under that category. 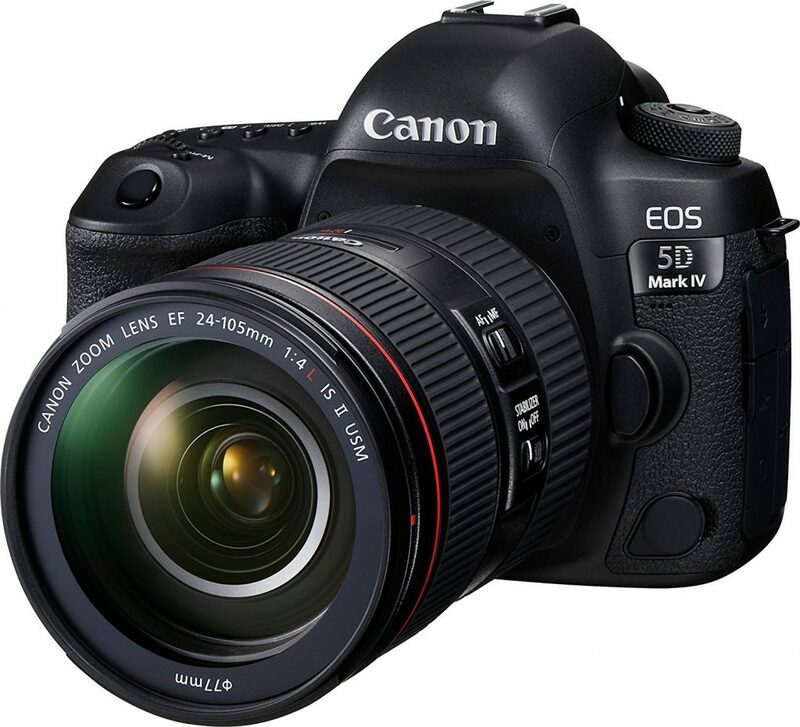 Another great option, if you’ve got a slightly larger budget, is the Canon EOS 5D Mark IV which packs in a 30.4 megapixel full-frame CMOS sensor which is capable of shooting 4K video at 24/30 frames per second, along with an in-camera still frame grab option for 8.8 megapixel 4K photos. You can even record full HD video at up to 60 frames per second and the camera also supports 720p video recording at 120 frames per second, but it doesn’t capture any audio if you choose that option. The device has an expanded ISO range of 50-102400, which allows it to excel in low-light conditions, along with an improved noise-processing algorithm which significantly improves image quality. The camera offers up to 7 frames per second continuous shooting, which is great for action shots, and it has a minimum shutter speed of 1/80000 seconds which will allow you to capture some of the best action shots ever. 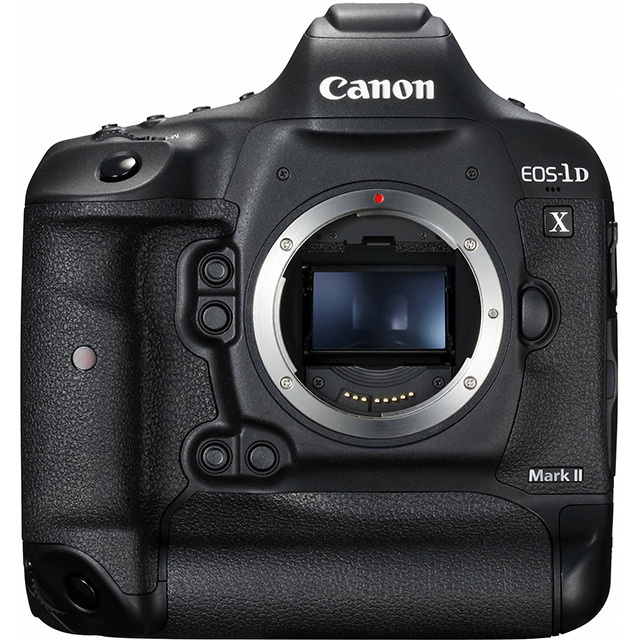 If you want to make absolutely no compromises and are looking for the absolute best no matter the price, you can opt for the Canon EOS 1D X Mark II which is Canon’s flagship DSLR. The camera features a full-frame 20.2 megapixel CMOS sensor and dual DIGIC 6+ image processors which give it a fast continuous shooting rate of up to 16 frames per second in live view. The 1D X Mark II supports DCI 4K resolution recording at up to 60 frames per second along with full HD recording at 120 frames per second for slow motion playback. When it comes to still imaging, the 1D X Mark II is an absolute beast and it’s great for low light captures as it has an expanded ISO range of up to 409600. The camera excels at sports and action image capture, allowing users to capture the best shots without missing a beat. The Canon EOS 1D X Mark II is simply unbeatable when it comes to still image capture and does a great job of capturing high-quality 4K footage with great levels of detail in each frame. Well, that concludes our list of the best 4K shooting cameras that you can buy in India right now. The list encompasses cameras catering to beginners as well as seasoned professionals, so you’ll definitely be able to find one that perfectly fits your needs and budget. Which one of the aforementioned cameras would you consider buying? Let us know in the comments section below.